Consider traveling to the Helicopter Museum. The Helicopter Museum is one of many different ones around the world. This one called the “Helicopter Museum” is located in southwest England in Weston. Approximately 10,000 parts make up a helicopter. This intricacy allows them to hover. What makes a helicopter unique compared to a fix-winged aircraft-what most people would commonly refer to as planes-is their ability to hover and travel to precise locations. Helicopters did not really take off until the second half of the 20th century. Let us take a look around the Helicopter Museum. One of the common exhibits first visible upon entering the museum is the Westland Lynx. The particular one in the museum holds a speed record for helicopters at 249 miles per hour. The museum houses many helicopters due to the storage ability of a helicopter-the bodies of helicopters tend not to be too large, and their rotors are generally fairly easy to remove. There is also a Mil Mi-24D Hind. This Soviet helicopter has been around for well over 50 years since its inception. It was an attack helicopter that was capable of transporting troops. A few of these helicopters you can take tours in, including an Mi-4 Hound and an Mi-8 Hip transport. As many people would guess, lots of helicopters are at the Helicopter Museum. A few helicopters on display include Sud-Ouest Djinn, Kamov Ka-26, Sud/Aérospatiale Super Frelon and prototype EH101, Robinson R22, Air & Space 18A gyroplane. Some of these helicopters are bigger while others are smaller. The museum is nothing new. It has been around since 1958, but it was not considered established until 1989. It was founded by Elfan Ap Rees and started as a private collection of rotorcrafts. By 1969 Ap Rees-an aviation expert-received his first helicopter which was a Bristol Sycamore Mk 3. By 1974 Ap Rees acquired a Bristol Belvedere and restored it with the help of volunteers. By 1978, Ap Rees received many other helicopters, including some rare prototypes such as the Fairey Ultra-Light, the Thruxton Gadfly HDW. It was in this same year the museum found its home in the Weston-Super Mare airfield (even though the museum required extensive repair work). With the help of many volunteers assisting in the restoration effort, the museum eventually opened its doors to the public on November 3, 1989. 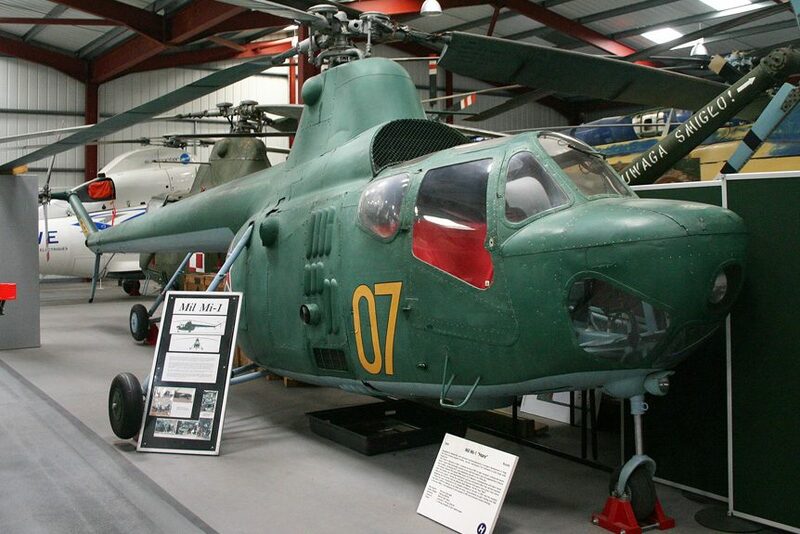 By 2012, the Helicopter Museum housed around 45 helicopters, including the rare prototypes it has today. Helicopters from different countries for different purposes are located in the museum.